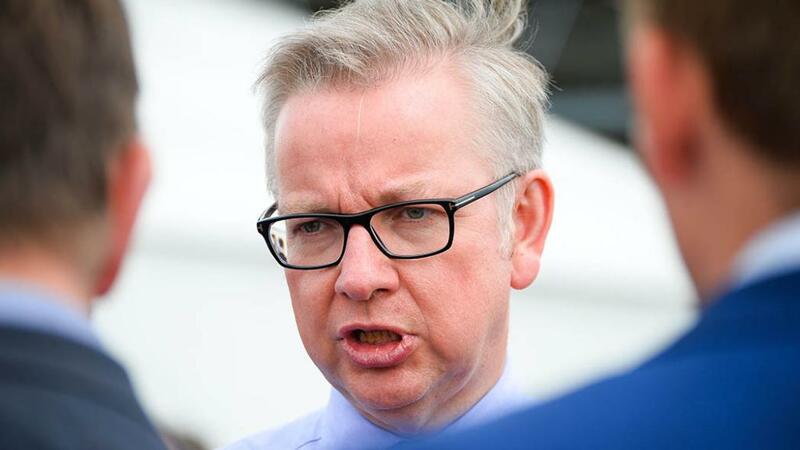 In an exclusive interview with Farmers Guardian, Michael Gove explains how a cheap food policy would be bad for the environment and why he is throwing his weight behind FG’s new campaign. Farmers Guardian’s new campaign has already secured the backing of Secretary of State for Environment, Food and Rural Affairs Michael Gove as it seeks to celebrate Britain’s farming industry and the vital role its members play in keeping our rural areas thriving. Supported by New Holland, Farming: The Backbone of Britain will highlight the positive contribution made by farmers and their families, not only in producing food, but as caretakers of our country’s stunning landscapes and booming wildlife populations. Defra Secretary Michael Gove said he was proud to support FG’s campaign at a time when the industry was under tremendous scrutiny. “I think this is a fantastic campaign,” Mr Gove said. “It is farmers who produce the food we eat to keep us healthy and provide the opportunity for people to get together as a family around the kitchen table. “It is also farmers who are responsible for 70 per cent of this country’s landscape and to make sure it remains beautiful and provides a habitat for wildlife. It is farmers who are part of rural communities and ensure businesses – whether they are pubs or restaurants or B&Bs are capable of surviving and flourishing. “Without farmers we would not have our thriving rural economy or our natural world that gives us such joy. And that’s why today we’re launching a new campain to celebrate ALL the hard work that goes into producing food/drink for the nation. And that's why today we’re launching a new campain to celebrate ALL the hard work that goes into producing food/drink for the nation. Mr Gove said initiatives such as Farming: The Backbone of Britain and FG’s 24 Hours in Farming event, which takes place for the fourth year on August 9/10, played a ‘powerful’ role in shining a light on the industry and communicating to the wider public what goes on behind the scenes. He added: “Over my lifetime I have seen a growing divide between urban and rural Britain and campaigns like this and FG’s 24 Hours in Farming event help us all appreciate what we owe to farmers. Mr Gove, who is travelling around the country speaking to farmers and stakeholders as part of the future agricultural policy consultation events, said the more people understood how much they depended on the industry, ‘the easier it is for me in Government to make the case for all the support that farmers need and get the public behind farmers’. Asked to address concerns some elements of Defra’s agricultural policy were a done deal, Mr Gove moved to reassure producers. “We have an opportunity to listen attentively to what farmers and others are saying,” he added. “It has already – and it is not over yet – renewed the emphasis that we place in this department on issues such as food policy. Commenting on accusations he was intent on pursuing a cheap food policy and valuing environmental gains over food production, he said: “If you are valuing the environment you cannot really be an advocate of cheap food. The two almost knock each other out. “Food that is produced cheaply abroad actually created an environmental and other cost that someone has to bear. “The truth is we want high quality food. “Britain has an agricultural sector and farmers who can lead the world on high quality food. Of course I want the industry to be as competitive as possible, I want the consumer to get the best deal possible. On news of Mr Gove’s invite by NFU Scotland to visit the shipping system used by Serco NorthLink Ferries between the Northern Isles and Aberdeen, in order to highlight the high standards of animal welfare upheld by the UK’s live export trade, he encouraged industry stakeholders to engage in the Government’s call for evidence. Mr Gove said: “One of the things Britain has led the world in is the standards of animal welfare we uphold. “We have got to look at what we are doing to ensure we continue to be world leading in that respect. “High standards of animal welfare and high environmental standards go hand in hand in making sure that consumers appreciate we are producing quality food.